With the most active users being between the ages of 16-35, dating apps like Tinder have created a new style of communication where people can conveniently meet, find common interests based on hobbies, sexuality, race, etc., and ultimately go on dates. Because of the possibility of being quickly matched, dating apps have experienced huge network growth from the users’ side as well as a wave of development requests from business owners. In this article we will review why it is important to test dating apps, outline the dating app testing process, its flows and specifics, and provide a brief review of the most popular dating apps. Fasten your seat belts, because we are about to start our dating apps testing journey. What makes dating apps so popular? There are hundreds of reasons that help market niches become popular – varying from a given season during the year to some level of management that promotes an app. Our experts have identified the TOP 3 factors that, according to their opinion, have the most influence on this particular niche. Modern technologies are speeding up the pace our of lives and are enabling us to do more things in a given period of time. On one hand, this has made our work more productive, but on the other we have less time for ourselves and for traditional off-line meetings. Dating apps not only accurately find matches for their users, as they filter people by their hobbies, interests, political views etc, but they organize offline meetings more efficiently. People move from country to country, and it often takes, what feels like ages, to get acquainted with somebody, make friends, or develop meaningful relationships. With dating apps, this task has become several times easier to complete, especially with a smartphone app. According to ComScore’s analytical report, the market for smartphones and tablets doubled between 2009-2013 and doubled again in 2017 (excluding wearables). Just take a look at how it was several years ago and multiply these results by 2 or even 3. Browser wars are over. You can forget about the website adoption to IE era, different Desktop OSs, etc. This is due to the fact that mobile apps have several advantages over traditional websites. According to the Business Insider report, an average person uses mobile apps 10 times longer than websites. You can expect to get a stable mobile app view on a specific mobile OS. 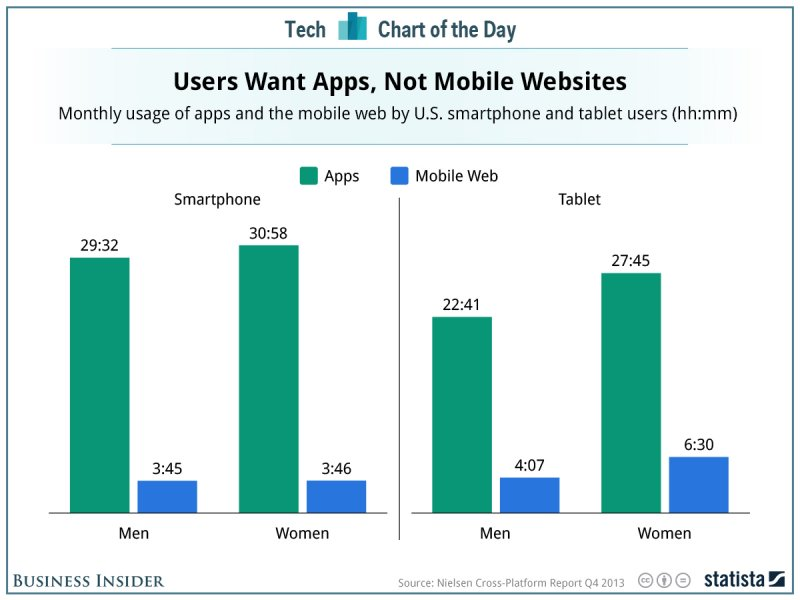 Mobile apps interaction is much higher comparing with traditional websites. A user receives instant updates via pop-ups and push notifications. 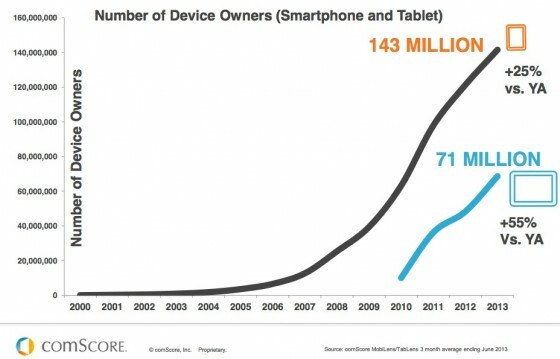 Mobile apps are highly addictive. Mobile apps are optimised for smartphones and mobile traffic consumption, more so than mobile web-sites (excluding Google AMP service). Let’s take a closer look at the most popular dating apps. According to Quatcast’s review, Tinder holds up to 75% of the mobile dating apps market. 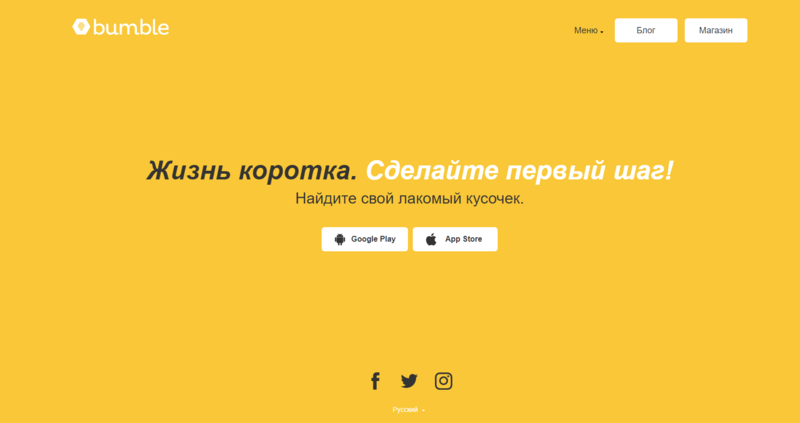 This location-based social search service allows mutually interested users to communicate, share ideas in private chats, and organize offline meetings. OkCupid is an internationally operating online dating and social networking website with extended mobile services. It was a leader in the early 2000’s, but lost the 1st position during the mobile apps era. 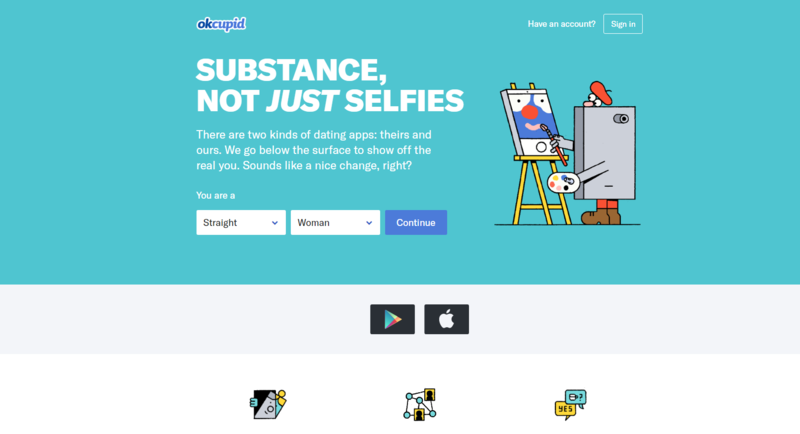 Right now it is the 2nd place contender with more than 10 million users, providing dating services via a website and via iOS and Android mobile clients. 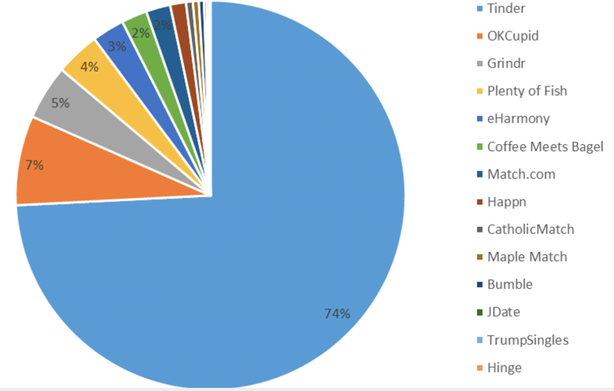 The most popular dating app for representatives of the pride community with around 4% of all dating app traffic (according to Quatcast’s review). Grindr allows users to find a partner according to user preferences. Bumble was launched in 2014 with a small team of enthusiasts, and by 2017 it had captured more than 800 million users. Bumble provides an outlet to meet new people, start conversations, send photo messages, and so on. ask your friends, colleagues or testers to do the same and have them also provide you with their opinion about the app’s flow. Take note: It is not very complicated to make an app that will be popular in a specific location. If you are chasing a goal to launch an app in multiple regions with multi-cultural specifics, we recommend that you gather an international group of testers or request for localization testing services. 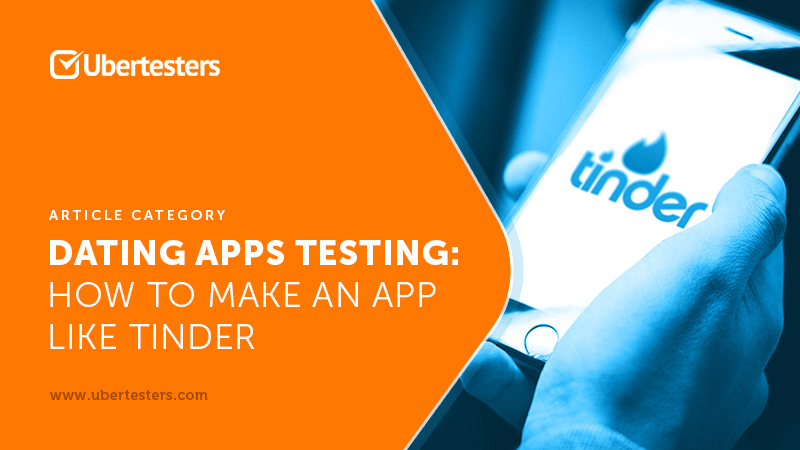 To understand the Tinder-like apps testing specifics, let’s take a look at the user flow and specify the main points for this type of testing. users from the allowed locations can find it in the list. Check your app’s store listing in each language separately and review your app’s local and global presence. Take note: We recommend involving at least 3-5 people from your regions of interest to help you with these tests. If you do not have local testers and do not know where to find people, you can always use the crowdtesting service. From time to time, people are faced with the situation when they start an app download and get no result without any explanation for it. Some of them launch the process again, but realistically, how many times will someone try to download an app after two attempts? How well is your app protected from low mobile network throughput? Will the download be stopped immediately when there is an interruption or will it be a delayed for a specific amount of seconds? Will the 3rd party actions (like an incoming SMS, messages, etc.) interrupt the download process? How will the user be notified if the download process stops? The app’s launch is probably the second most critical point of this phase. You can test your app’s page and optimize the download process, but what should you do if your app crashes immediately upon first opening? To avoid this situation we recommend gathering a list of popular devices in the regions of your interest and perform your app testing on real devices using crowd testing services. Take note: We do not recommend using a mobile device and/or mobile browser emulators because they are less accurate. registration with a user’s social network API. Verify that all the specified fields are present on the registration page. All the mandatory fields must be marked with “*” or any other mark. The registration page must include a cancel/reset option at the bottom. The data transferring request should work properly. After tapping the “Submit” or “Register” button, the user’s data must be submitted correctly. The process should work in the same way for the “Reset/Cancel” button. The validation process (where it is possible) should take place on the client’s side and shouldn’t provide any personal information to 3rd party sources. If the user does not fill in all the mandatory fields, the system should return a popup with an error message. Check the upper limit of the textboxes. Check that the email address and the current data are both valid. Check the validation on the numerical fields by entering characters and special symbols. Verify that leaving blank spaces in the mandatory fields leads to a validation error. Is the social network’s API secured? Does it have a 2-3 step verification process? Can anyone gain access with the same credentials? Can a user be automatically provisioned after an app is reinstalled? Can the same user register multiple times? Does a user have a chance to use several different social profiles to be registered in one device? What proof of identity is required for a successful registration? Is the data protected and are there any ways to forge or fake user data? Is it possible to manipulate user data during the registration process? The saying goes that couples meet each other on the will of faith. From the technical aspect, this saying partially goes out the window as each dating app uses attributes like hobbies, genres of books, movies, music, etc. to match people up. Perform a matching criteria test. Understand how the system’s scripts should be executed if the user changed criteria. Verify the kind of user data that will be provided to the opposite side after matching. Understand how to reject a matched person. | Also Read: Taxi booking app testing: how to make an app like Uber? Try to activate/launch a chat. Test files sending (if available). Does a chat support emoticons/emojis? Types of message submissions (Send button/shaking/etc.). Is it possible to launch a chat with the same person but with different IDs’? Chat statuses test such as available, busy, invisible, etc. The maximum size of a message that can be sent at any given time. How much time can a personal chat exist for? How much time can it work continuously? What is the ratio of failed to successfully sent messages? What is the system’s response time after a message was sent. How much time does it take to receive a message? In-app ads – an app’s owner provides a space within their product for ads to third-party companies. Pro version – ads free app or a premium subscription. User subscriptions – a user pays a certain amount of money for a limited period of time. to test in-app payment processes with real money. Last but not least is User Experience testing. You can create a perfect app from the technical point of view, but it will not be usable from a user’s perspective. A WebView test (if available). | Testing tips: If you need assistance with your app’s UI/UX testing, you can send a request to our manager via Ubertesters contact form. Test an app with real people on real devices. Test the “real-deal” and real user experience. Meaning you should use a pair of real people to try the actual matching process and make sure that both parties test each “side” of the equation. Pay very strong attention to security testing to protect users’ private information. Test all the payment processing steps with real bank cards. Test the ads system with a3rd party API. The matching algorithm test is very complex and is an essential part of testing. It could take up to 20% of your testing time. Do not try to test your app on mobile and web emulators. test your dating app properly. With the general testing checklists and scenarios that we have mentioned above, the 3rd point from that list looks now not so complex but still requires your effort. If you have any questions or want our assistance with your dating app testing, give us a call at +1.201-203-7903 or send us a message through Ubertesters’ contact form.